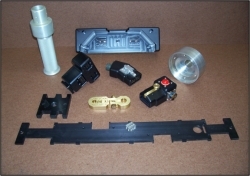 Protofab has been serving the needs of our customers for over 40 years. Producing custom sheet metal fabricated parts. With a strong emphasis on quality, price and delivery. We pride ourselves on our long term relationships with our customers. When you work with Protofab you have a long term partner that will work with you to get your job done right the first time and deliver it on time. 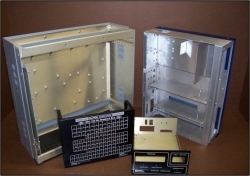 Protofab can assist with all of your production needs, including chassis, brackets, panels, enclosures, name plates, heatsinks and more. We can work from your blue prints or design your product in house for you. Contact Protofab today to discuss your production needs.